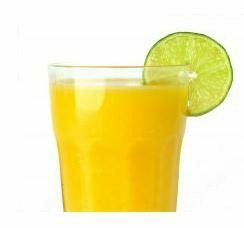 The Food and Drug Administration (FDA) is reporting that six shipments of orange juice from Canada, and five from Brazil, have tested positive for a fungicide which is not approved in the US. Nine of those shipments have been detained by US authorities. The remaining two shipments were not detained as the companies involved decided not to import them to the US. The fungicide was identified by the FDA as carbendazim. In early January, the FDA alerted the Juice Products Association (JPA) that they would begin testing imported orange juice for the fungicide and would detain shipments that tested positive. Both the FDA and the JPA say that trace amounts of carbendazim in orange juice is not a safety concern. “To err on the side of safety, the FDA said it will not allow the importation of any orange juice that tests at 10 ppb or higher for carbendazim. This is a level consistent with established acceptable limits for carbendazim on other food products,” states the JPA on their site. The shipments that were detained contained between 52 to 108 ppb. The FDA says they are in the process of testing domestic manufacturers as well, and the results for those tests will be available next week.